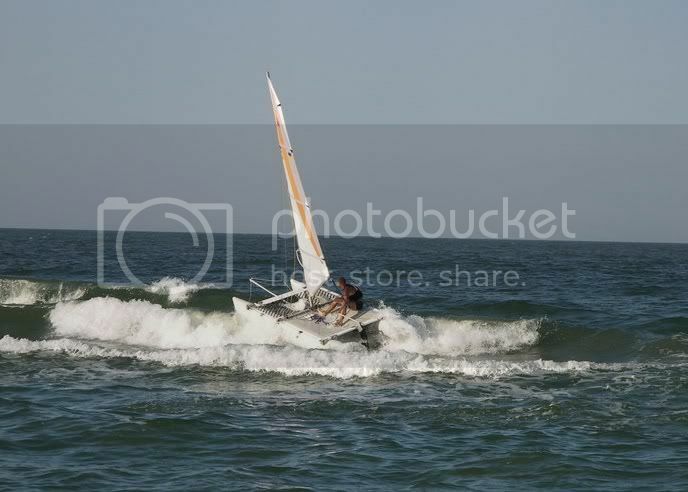 I think you should learn how to sail. A bit of common sense also comes in handy if you want to venture out on the water. "See that thing staright ahead, it's called a beach." But Joe, I've seen catamarans sail onto the beach in Florida. If at first you don't succeed, try, try again....and again.....and again....and again. Oh for goodness sake, take a sailing class, old man! 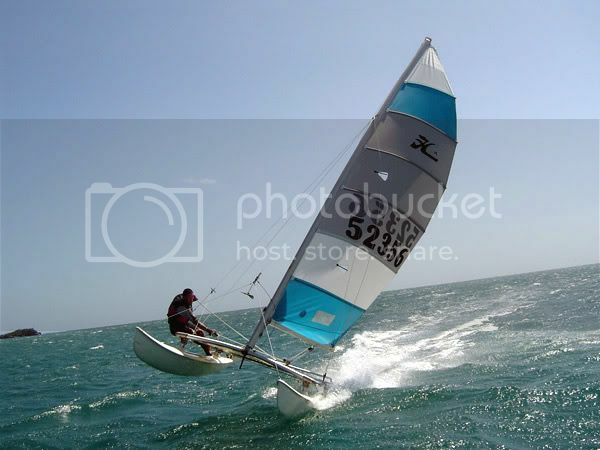 Try doing this with your Beneteau. On second thought, maybe using this photo is not such a great idea. It must be a son of gun to get that cat on and off the roof rack. Via Conjuminando, who got it from Velablog, who read al post di Francesco Vado pazzo per Cindy, who found Cindy here. This is from the video archives. 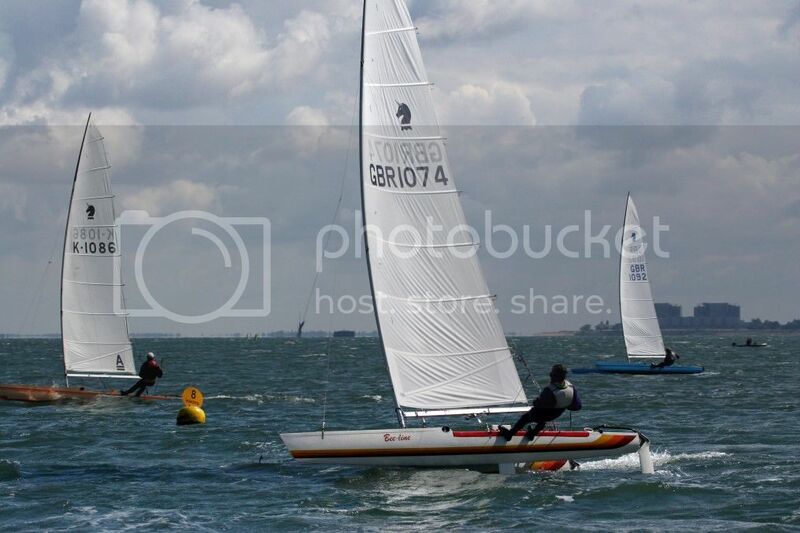 Sailing Photo Of The Day. Paper Tiger Cat. 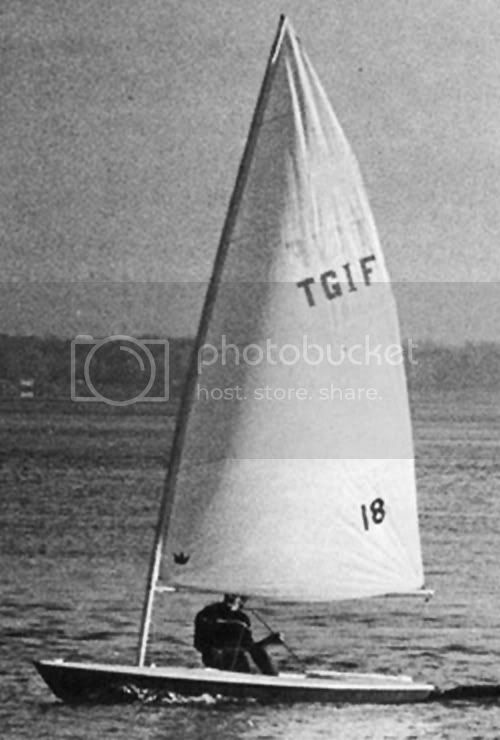 Peter Robbins sailing PT 888. 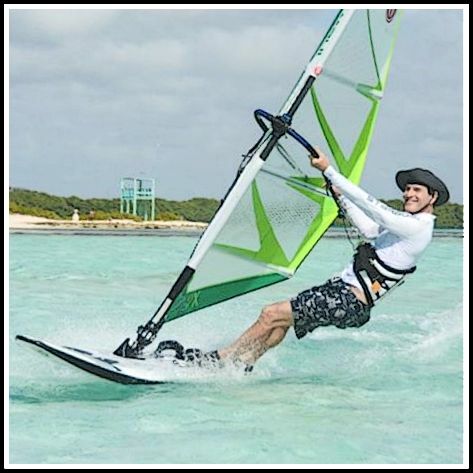 The Paper Tiger Catamaran is an exciting 4.3m (14ft) single-handed catamaran that provides competitive one-design racing for beginners through to champions. The class rules ensure tight control over the major dimensions of the boat which guarantees exceptional racing, yet they provide the freedom to experiment with gear and equipment for the boat. 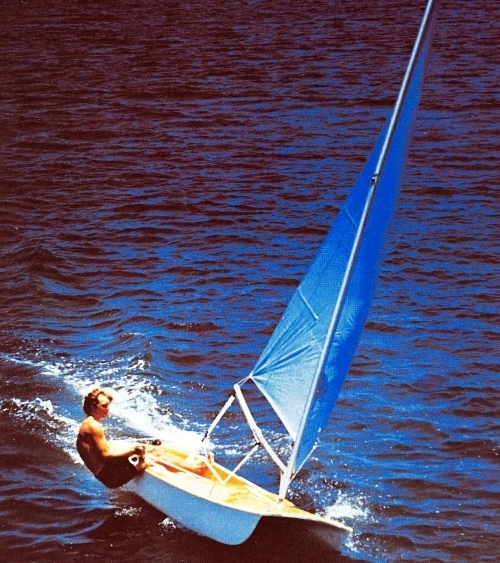 In 1967 when Ron Given was discussing with friends how he planned to design a father and son training catamaran which he proposed to build on a simple mould by sticking plywood together with fibreglass tape, his friends began to comment that he may as well use sticky paper. Eventually, the word 'paper' and also the description of 'paper boat' kept coming to mind during talks about the new boat. As a result, 'paper' soon became part of the name, followed by 'tiger' because the tiger is an active member of the cat family. By the end of 1967 five Paper Tigers were built and one made its debut at Cat Week during January 1968 at Brown's Bay, New Zealand. 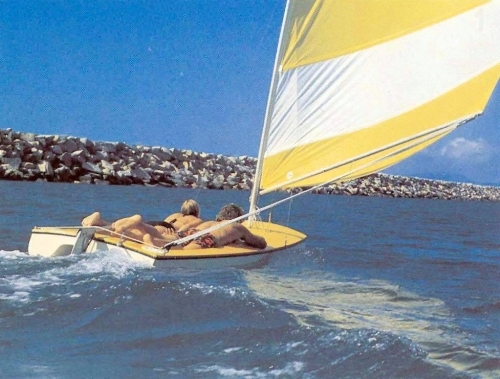 By the end of 1968 the New Zealand Paper Tiger Catamaran Owner's Association had been formed. 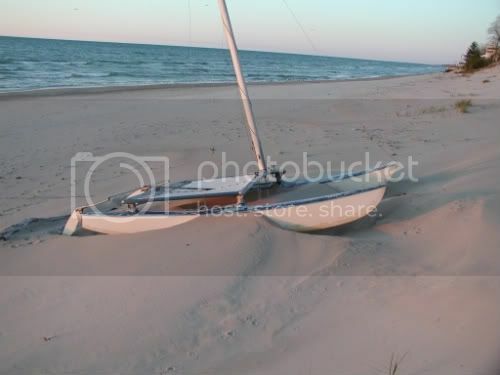 The 14 foot, one design hulls can be professionally or amateur built from fibreglass with foam sandwich or marine ply with both methods providing a long competitive boat life. A minimum hull weight of 50kg ensures that the Tiger can be easily handled by teenagers, adults and veteran sailors. The Paper Tiger points high into the wind, has an exhilarating acceleration, runs well downwind and above all is deslightfully responsive. These attributres thrill the pleasure sailor and racing skippers. The basic specifications for the Paper Tiger Catamaran are set out below. For more detailed information, please refer to the Class Rules. Do you want one? Buy the plans and build one. Boat Of The Day, Quack! Quackamaran. The Ducky, an inflatable catamaran from the Ukraine. Happiness Is A Beach Cat. A glass of sangria is pretty good also. I raise a toast to a local sailor. Here's to fair winds and following seas for Edward during his race to Hawaii. The Unicorn Cat in action. Dog you can build this puppy at home. to outhaul, downhaul, kicker and lower shrouds. I almost bought one a couple of years ago. She's fast, fun and stable. (made from recycled Clorox bottles) Bravo. No One Is Picking Up My Call From The Darkside. No Lasers to be found. What's a guy to do? Look at scows? 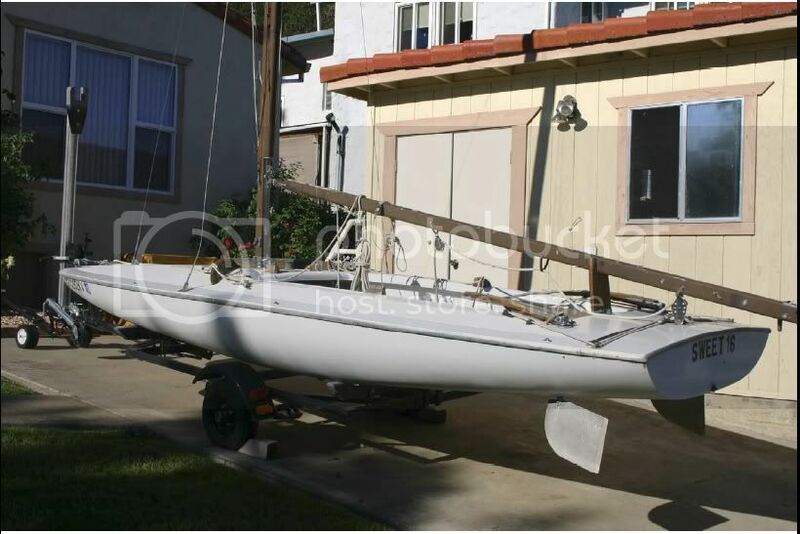 I found an Melges 16 up at Clear Lake on Craigslist. from the sixties that should be put out to pasture. He pointed me toward an MC up in Sac-town. Isn't it a big Laser that needs a few more blokes to carry it to the water? I'm starting to think Hobie. Puffy, she is one of those multi-hull watchamacallits that loves the beach. 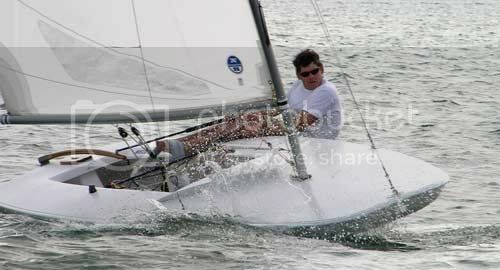 and standing rigging for the same price as the Melges. How To Launch A Beach Cat. Chaos from The Tybee 500. "Friends Don't Let Friends Sail Multihulls"
Edward, A Horse Is A Horse, Of Course, Of Course,..How About A Unicorn? Sorry Steph, saying no to multi-hulls is verboten here at "The Horse's Mouth." It can be built at home. my wife and I are going up to Wine Country." that sail out of Berkeley.